The building was originally built at the beginning of the 19th century and was used as a residence for members of the Saxon royal family. After the abdication of the last Saxon king in 1919, it was turned into a centre for trade and industry. To mark the occasion, the porcelain factory Volkstedt was commissioned with the production of 16 monumental porcelain figures to adorn the building. 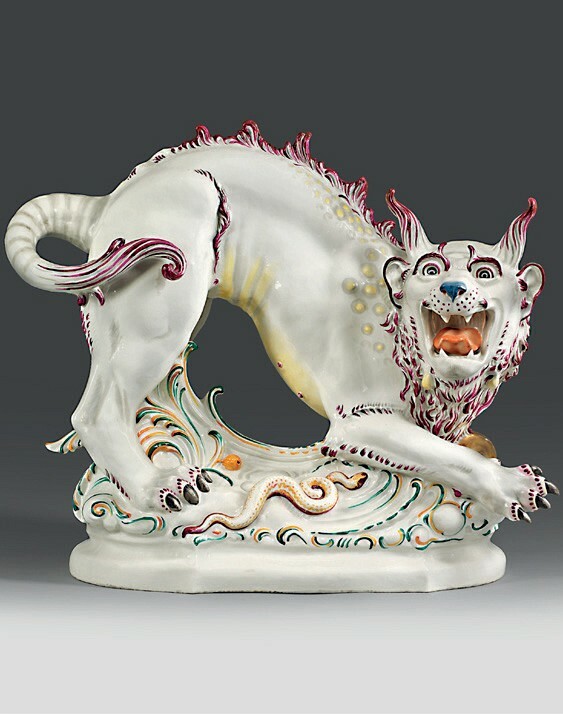 The sculptor Arthur Storch was responsible for the original models, which paid homage to the great 18th century porcelain artist Johann Joachim Kaendler of Meissen. In the following years such figures were an important part of the factory’s production. They included fish, birds, animals and mythical beasts. 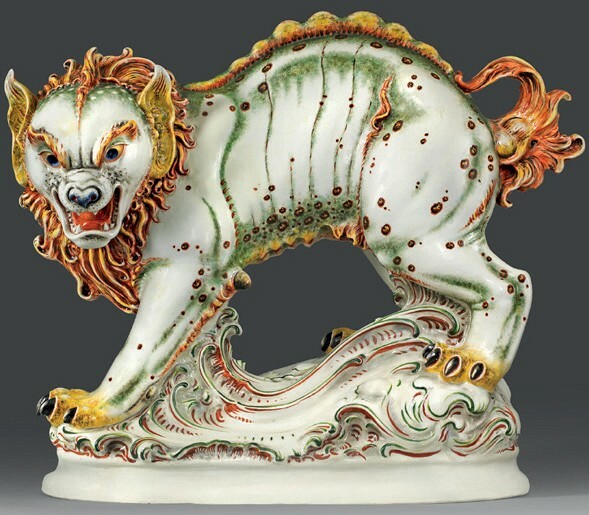 Two of them, a Höllenhund (Hellhound) and Buddhistischer Loewe (Buddhist Lion), both around 2ft (60cm) high, are coming up at Schloss Ahlden in its sale series from November 30-December 1, 2 & 8, estimated at €24,000 apiece.